Rodney Watson - THE MASSACRE AT LE PARADIS - HELL IN PARADISE - MAY, 1940. 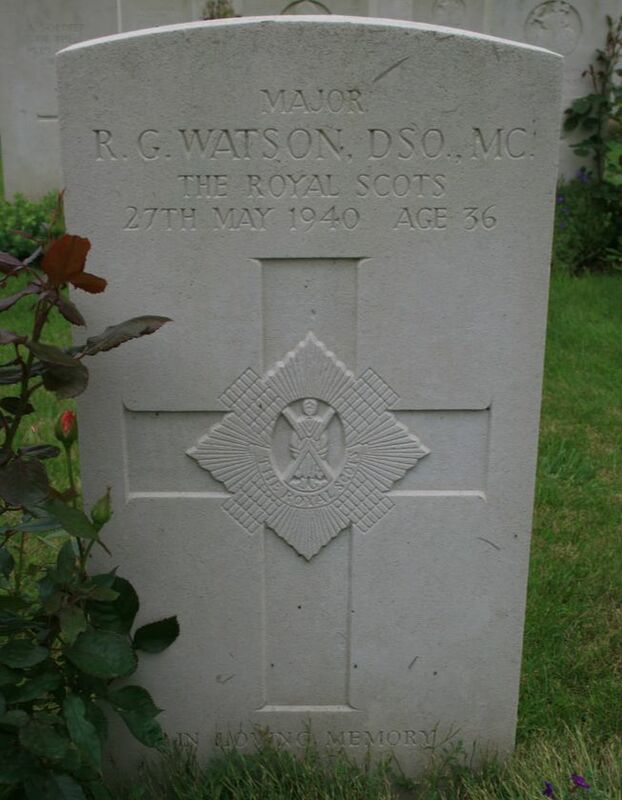 Major Rodney "Bosun" Watson was killed in action at Battalion Hq, Duriez Farm, on 27th May, 1940, whilst acting commanding officer of the First Royal Scots. Major Watson was the holder of the DSO and MC. He was wounded three times before being killed fighting at Le Paradis. Major Watson was the husband of Robina Alice Wilson and son of Captain John Campbell Watson and Violet Mildred Watson.